dreams; who looks inside, awakes. Thanks so very much for your kindness Sue. Do have a most beautiful day! You put it so very well, thanks Marylou! “And what happened then? Well, in Whoville they say that the Grinch’s small heart grew three sizes that day” (Dr. Seuss, How the Grinch stole Christmas!). 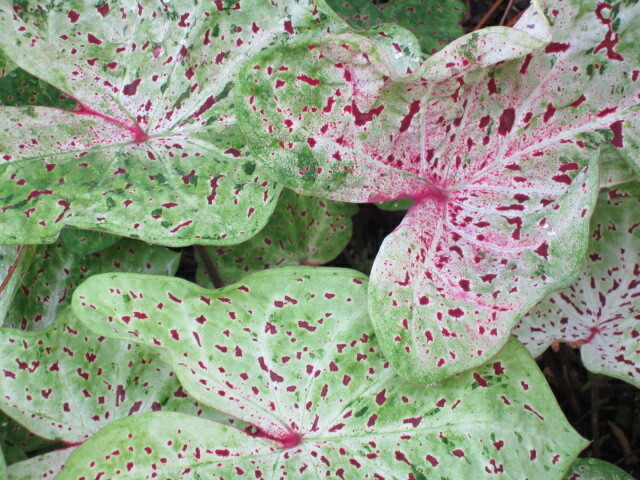 Anecdotal note about the caladium is that one of its common names includes “Heart of Jesus”. Did not know this about ‘caladium’, thanks, and the Dr. Seuss story is sweet.